DSC03044, a photo by CAKE Amsterdam - Cakes by ZOBOT on Flickr. 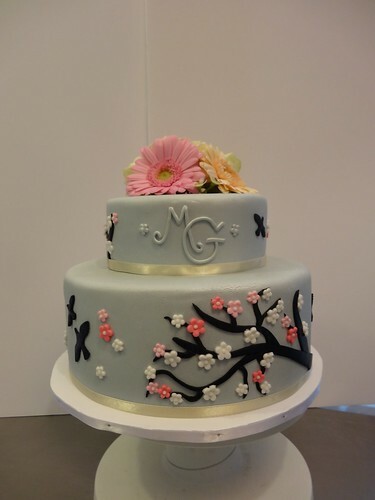 I was scheduled to make this cake for September 12th, but early in the morning on the 12th I received a message that the bride was in labor (see, she was actually due on the 16th of Septmeber). Esmee Avery was born on the 12th of September, the day her parents were suppose to be married, and her parents ended up getten married 2 weeks later! Congrats Gwen & Mark (& Esmee)!! !